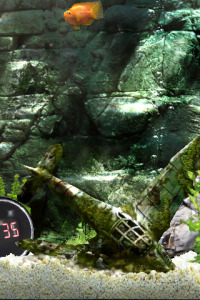 App Review: iQuarium for iPhone by Infinite Dreams Inc.
iQuarium is one of those apps that keeps you coming back for more not because it’s an addicting game, but because you want to know the next tank gadget that you’ve earned (oh, and you have to keep feeding your fish). That’s right, iQuarium is a fun and addicting pocket pet if you will, requiring that you feed him (or her, depending on how you named it) on a daily basis. The longer you keep your fish alive the more tank gadgets such as backdrops or driftwood or whatever you can collect to decorate your tank. 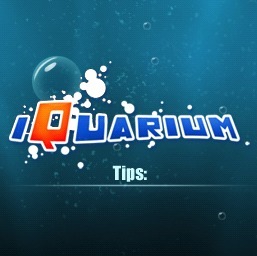 The graphics of iQuarium are amazing! They’ve really done a great job on this app. 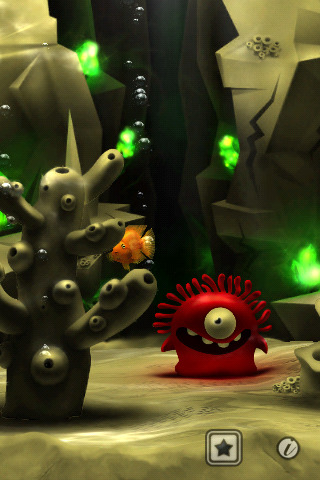 The backgrounds come alive with water reflections and the fish moves and behaves in a very real manner. Every 10 minutes you earn a point and the more points you have the more fun stuff you get to add into your tank. 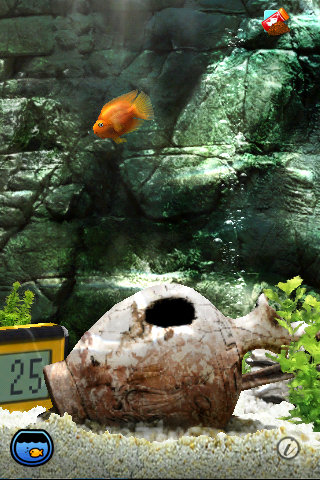 For my six year old, this is the real fun of iQuarium – to check the app periodically to see what he can add to his tank to make sure Speedy is happy (Speedy is the name my son gave his fish, my fish is named Albert and my wife’s is Gloria). Here at AC HQ we make it a family affair to check on our fishies daily, make sure they get fed and see what we get to add to the tank. Earning points can be slow at 1 point per 10 minutes, especially when some of the cool stuff doesn’t happen until 5000 points or so here are the findings. This is probably the only drawback of this app, is that after the first day or two the earning of gadgets and tank decorations slows down considerably. Sometimes it will be a day or two before you have enough points for the next item to add to the tank. However, feeding the fish regularly is required, otherwise he’ll go ‘belly up’ and for a six year old that can be pretty traumatic even if the pet is a virtual fish (there’s no imaginary toilet flushing of the dead fish, though that would have been kinda funny if there was). Having now taken care of my first ever virtual pet for the past couple of weeks I can honestly say that it has been kinda fun. I’m sure my fun factor is influenced by the excitement that my son gets out of it more than the satisfaction that I get out of actually feeding a digital pet, but hey, it works! Highly recommended if your kid is asking for a real gold fish or if you just want some time killer for the occasional moment of boredom. Oh, and it’s well worth the buck. What we liked: Great graphics, realism of the fish and tank, keeps you engaged over a long time. What we didn’t like: Once you get going it takes a long time (days even) to earn the next tank trinket. i found a cheat for this game, if you change date and time on your iphone/ipod touch it will change the timing in app. 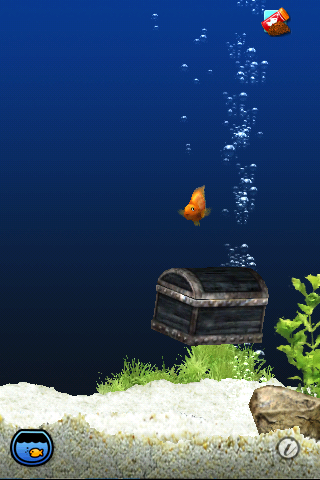 eg:feed fish, fast forward a day and collect rewards.